Now available for Windows Phone is a handy tool from the Office team , called Office Lens! Office Lens is a scanner app that trims, enhances and makes pictures of whiteboards and docs readable, and then saves them to OneNote. Office Lens is like having a scanner in your pocket. Never miss notes on whiteboards or blackboards. Always find important documents or business cards. Don’t lose receipts or stray sticky notes again! Check out the video below for more info! – Capture pictures of whiteboards and share your meeting notes with co-workers. – Make digital copies of your printed documents, business cards or posters. The text will be automatically recognized (using OCR) so you can search and edit it. – Take pictures of menus, shopping lists, or children’s sketches so you never have to worry about forgetting or misplacing them. – With Whiteboard mode, Office Lens trims and cleans up glares and shadows. 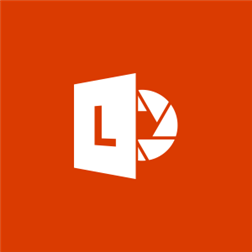 – With Document mode, Office Lens trims and colors them perfectly. – Save pictures not only to your camera roll, but directly into OneNote. You can see the images across all your devices. Written by: MBGW on March 17, 2014.